Test cases protect against breaking existing code when we make any changes. Test cases clarify what the code does both when used as planned and when faced with complex conditions. Test cases reveal mistakes in application design and implementation. Tests force us to look at our code from different angles and approaches. When a part of our application seems tough to test, we may have found a design bug, something we can resolve now rather than later when it becomes expensive to fix. Karma is essentially a tool which generates a web server that executes our source code against test cases code for each of the browsers connected. The results of each test case against each web browser are examined and displayed via the command line tool to the developer so that they can see which browsers and tests passed or failed. A web browser can be snatched either manually, or by visiting the URL where the Karma server is listening or located (typically http://localhost:9876/), or automatically by letting Karma tool know which browsers to start when Karma is in operation. 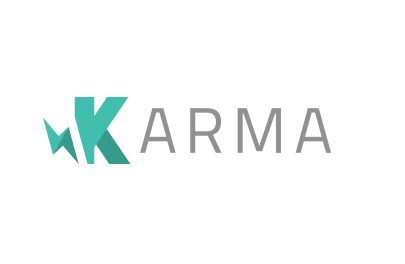 Karma also watches all the files, specified within the configuration file of the application, and whenever any file changes, it triggers the test run by sending a signal to the test server to inform all of the captured browsers to re-run the test code again. Each test browser then loads the source files inside an iFrame, executes the tests and reports the results back to the server. Grouping related tests within described blocks and describing each individual test within an it call keeps your tests self documenting. Jasmine comes with a number of matchers that help you make a variety of assertions. You should read the Jasmine documentation to see what they are. To use Jasmine with Karma, we use the karma-jasmine test runner. Let’s learn how to test a simple angular2 component. Angular2 components are made up of classes, and our component testing strategy revolves around validating the correctness of the properties, functions and methods of those classes. In Angular 2, a component's class will often depend on some dependencies – angular service, directive, pipe, RxJS etc. When writing unit tests cases for components we don't actually bootstrap the application, instead we initialize the angular2 component (AppComponent) and inject any dependencies manually. We don’t need to bootstrap like angular1 but we make an explicit call to AppComponent. Once we get an instance of the Angular2 component we can call its methods and check the values of its properties, and query whatever output it has made to the Document Object Model (DOM). Let's take a look at a basic component testing that we will write some unit tests for. I have written a simple case for unit testing of a component without dependencies. Let’s create a DisplayName component. As you can see the DisplayName component to display the full name of a person. Use Dependency injection to instantiate Component. The first method is the most candid since it simply instantiates the component class manually before calling the generate FullName() method and an expect on the fullName property. This expects match the final result. In the second method of the test I have made use of Dependency injection to initialize the component class. It requires a few more setup code since we have to tell Angular2 how to inject the component.